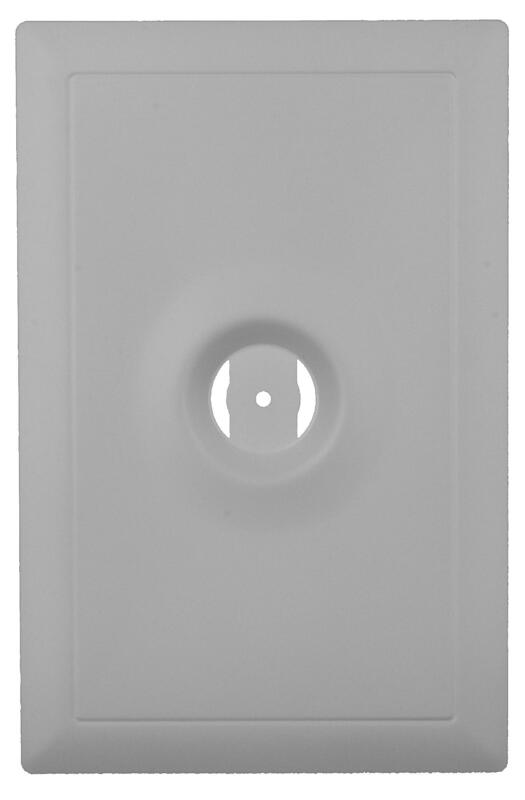 This metal coverplate is designed to cover a template or bracketed hole until the speaker is installed. 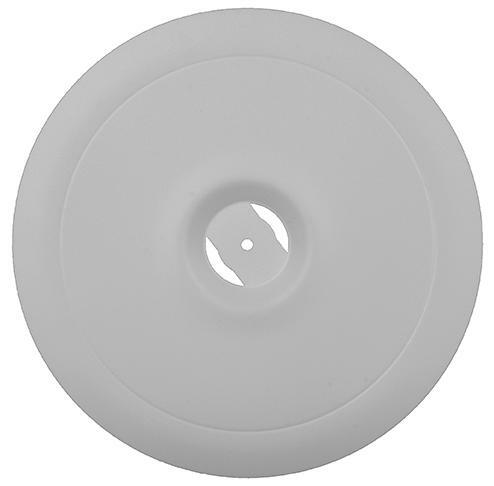 It is sized slightly smaller than the actual speaker, so the speaker baffle edge will cover any paint ridge created during painting. 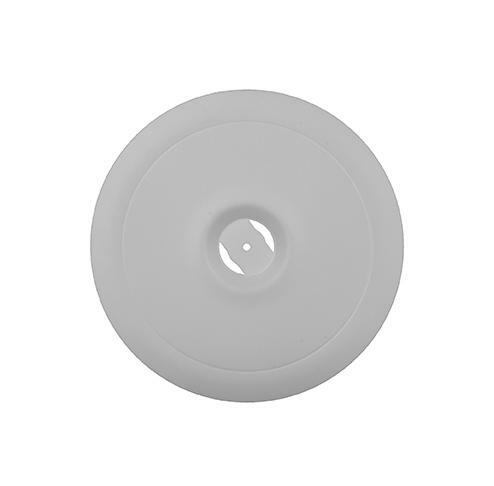 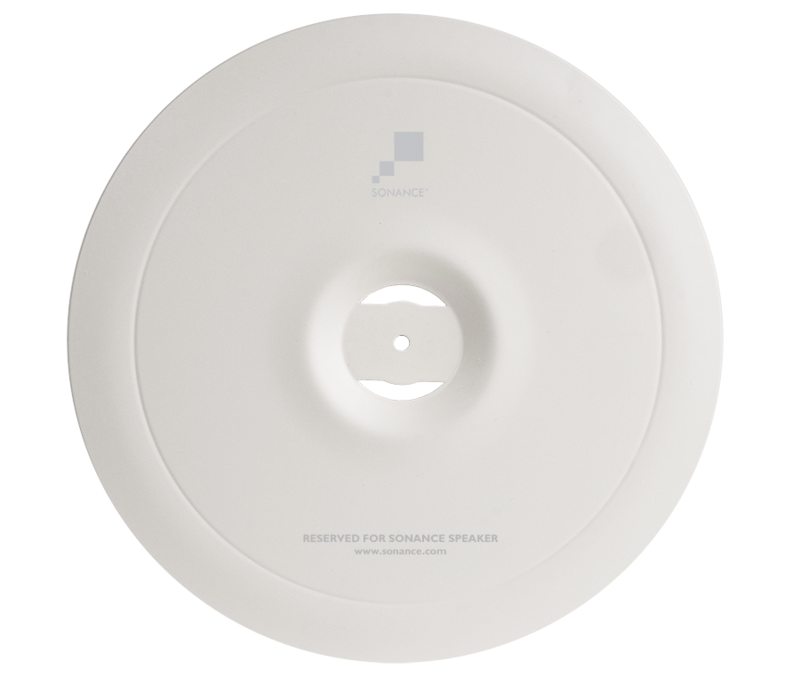 Discreetly stamped “Reserved for Sonance® speakers” and painted Sonance white, the coverplate can be used with all Visual Performance Series and Original Series rectangle speakers.